Beginning geometry students commonly have to find the volume and the surface area of a cube and a rectangular prism. 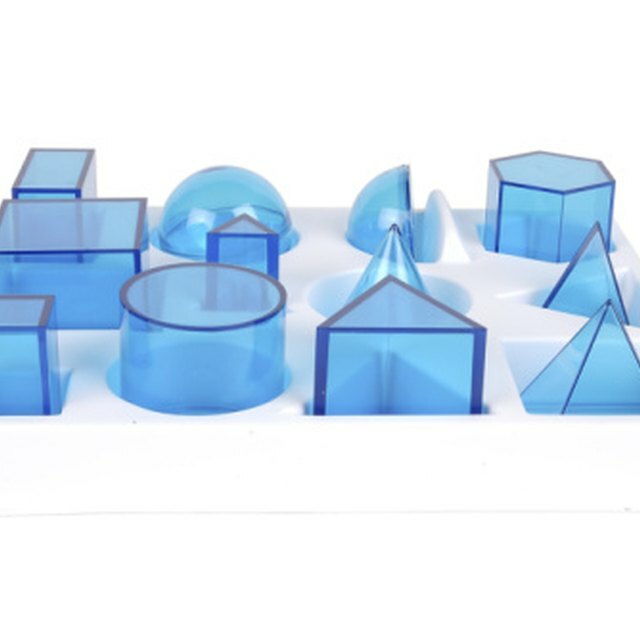 To accomplish the task, the student has to memorize and understand the application of formulas that apply to these three-dimensional figures. Volume refers to the amount of space inside the object, measured in cubic units, while surface area measures the total amount in square units of each object's six faces. It is also important to state your answer using the proper units, since not doing so will typically result in the question being marked partially or completely wrong. Think of this shape as that of an empty cardboard box. Its three dimensions can be labeled length, width and depth. They can be interchangeable depending on the orientation of the box. Compute the volume of a rectangular prism with the following formula: Volume = length times width times depth. For example, suppose you had a rectangular prism with the dimensions 3 feet by 4 feet by 5 feet. Multiply the dimensions together to obtain 60 cubic feet. Calculate the surface area of the box. To do this, compute the area of each face. The figure consists of three pairs of congruent faces. Using the previous example, multiply 3 by 4 to calculate the surface area of one face. This equals 12 square feet. Multiply this figure by two to future the opposing side, so you would now have 24 square feet. Multiply 4 by 5 to calculate the surface area of another side, yielding 20 square feet. Multiply this product by two to include the opposite side. So 20 x 2 = 40 square feet. Then multiply 3 by 5 to calculate the surface area of the final side, which is 15 square feet. Again, multiply this product by two to get 30 square feet. Add up the results: 24 + 40 + 30 = 94 square feet. Calculate the surface area using a formula once you grasp the concept. The formula for surface area of a rectangular pyramid is Area = 2lw + 2ld + 2wd, where "l" is the length, "w" is the width and "d" is the depth. Compute the volume of a cube. Because all sides of a cube are equal, the volume formula is V = s^3, where "s" is the length of one side. 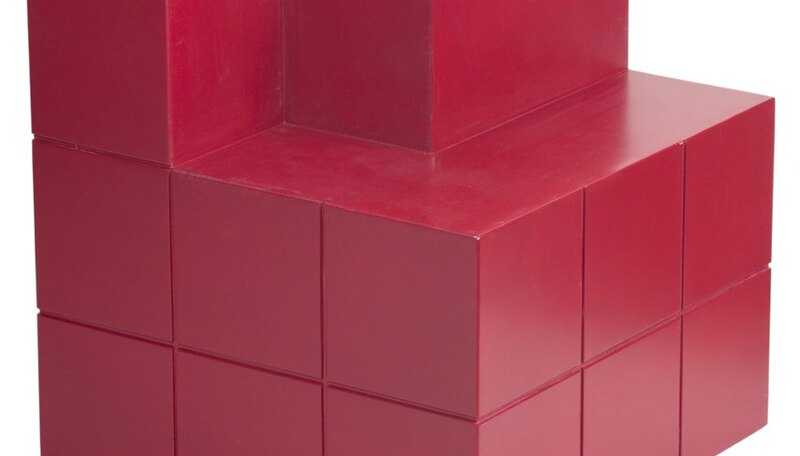 For example, if the cube had an edge spanning 4 inches, its volume would be 4^3 or 64 cubic inches. Find the surface area of a cube. Because each face has a surface area of s^2 and every cube has six faces, the formula is as follows: Surface area = 6s^2. For example, if a cube had an edge of 5 cm, the surface area would be 6*5^2 or 150. Add the proper units to your answer. In the example, you would write, "150 square cm." Contributor. "How to Find the Volume and Surface Area of a Cube and Rectangular Prism." Sciencing, https://sciencing.com/area-of-cube-rectangular-prism-4851757.html. 24 April 2017.